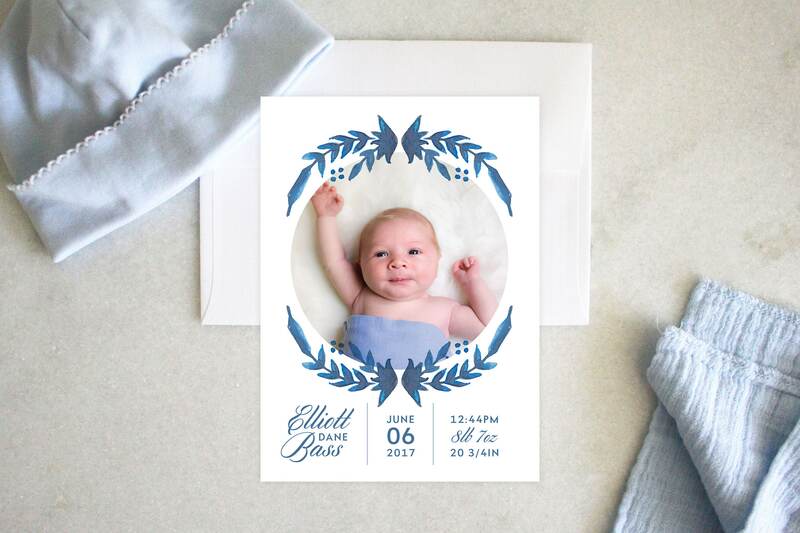 This birth announcement showcases your precious newborn surrounded by the sweetest blue wreath. To us, all of it says 'Hello World'! 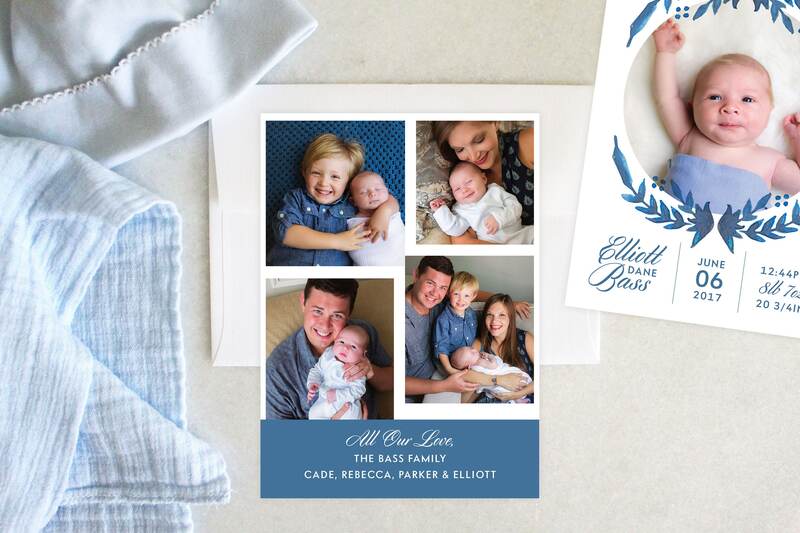 Bonus: the back-side of this piece can showcase up to 4 extra photos!